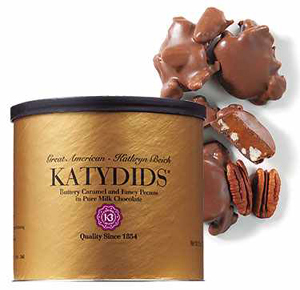 Katydids – Buttery Caramel, Fancy Pecans, and Pure Milk Chocolate! Who could ask for more? 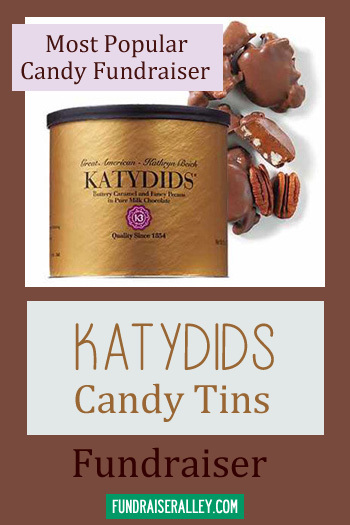 Katydids have been a favorite candy since 1854. And, now, Great American – Kathryn Beich are offering it for fundraising projects. The 8 ounce tins sell for $15 each and earn a 40% profit. There are 12 tins per case and a 1 case order limit. Shipping time is only one week. Katydids are a successful fundraising product, a favorite of churches, clubs, and groups. Order Online approx. 1 case per fundraising participant. Participants sell to friends and family. 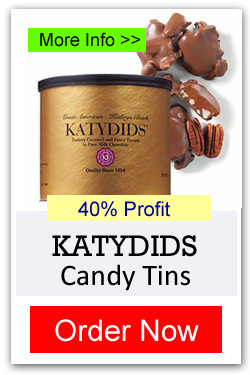 The Katydids Tins Fundraiser will earn from 40% profit. You will earn about $5.60 per tin sold. We suggest that you order at least one case per participant. Each case has 12 tins and will sell fast. Your participants will not have any problem with sales on this item. Shipping charge of $50 for orders under $2000 and $20 for orders over $2000. Additional charge may apply during warm weather. You will receive your delivery in about 1 week. 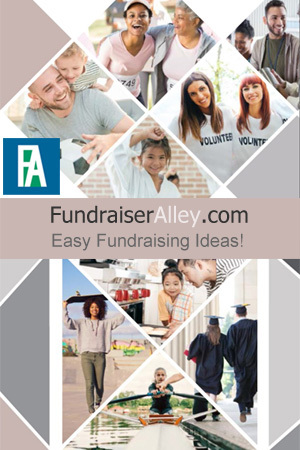 Katydids are a favorite fundraising idea for churches, groups, and clubs. Everyone loves this delicious candy. If anyone finds out you have Katydids for sale, they will come to you. So, be sure and get the word out on social media or in the local church news.